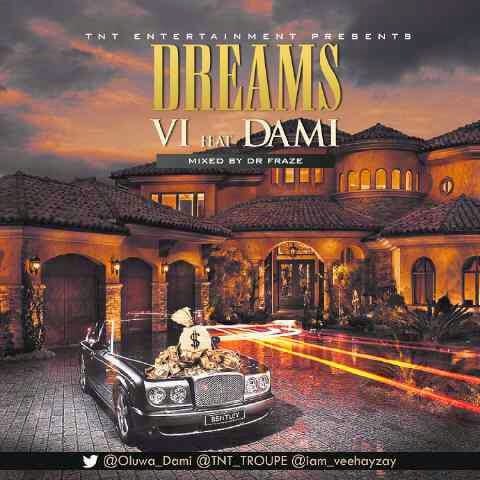 VI debut single “Dreams” Mixed by Dr Fraze. Hmmm wat more can I say...av already been blown away nd taken in just by d intro..ave always kept tabs on this young prodigy V.I. nd I must say dat he has far exceeded my expectations...kudos TNT troupe, kudos Dami, Kudos V.I once again. TNT troupe, plsssssss I would love to hear plenty of singles from V.I....dis guy is bursting my head, how he manages to muster d right words to create an overall trembling impact is something sort of an amazement dat I cannot fathom...for me a very fast rising wave in d Nigerian music industry...we go live our dreams ooo...back to my song! !